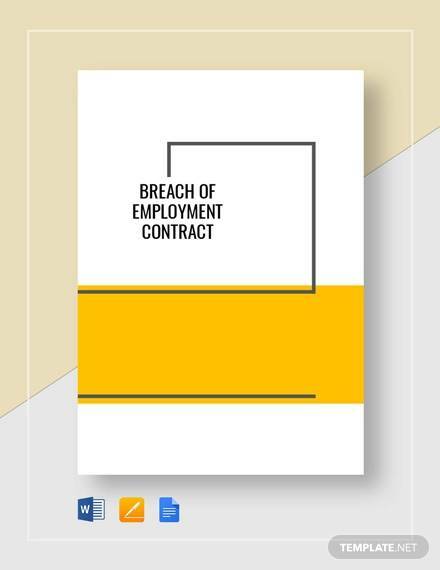 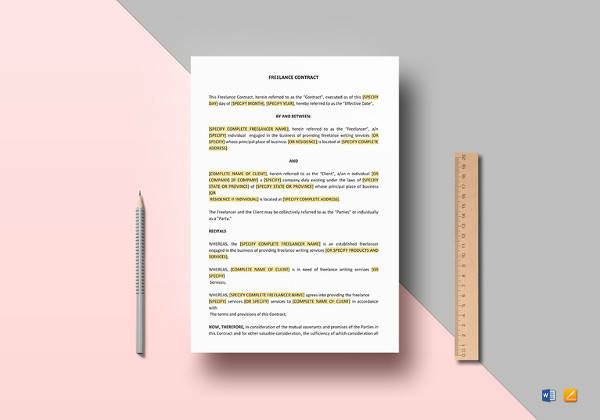 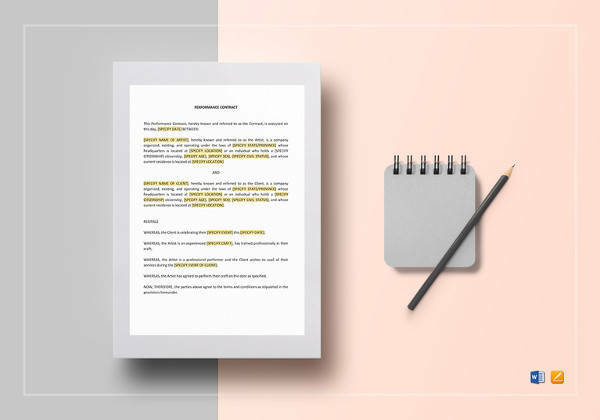 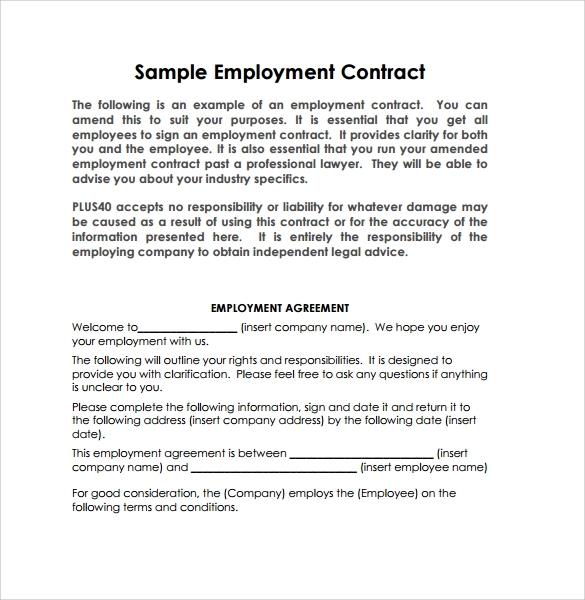 Whether you are getting employed by a firm or you are hiring an employee for your firm, it is necessary to seal the deal with employment contract forms. 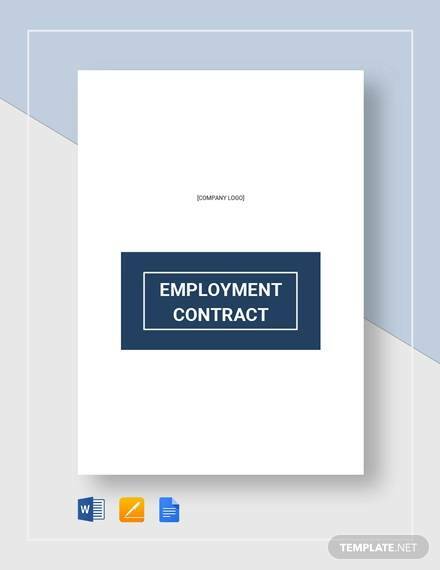 After the prospective employee has applied for the job, submitted the resume and passed the interviews, it is time to legalize his/her employment in formal writing. 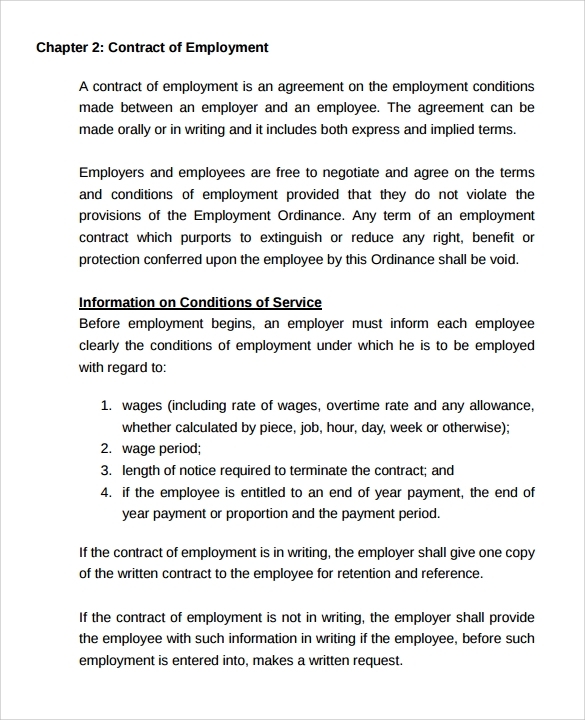 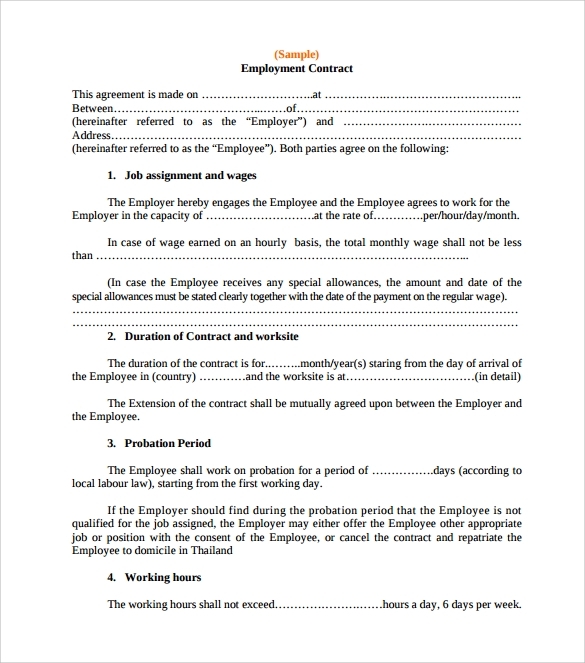 These employment contract forms are very important for they determine the relationship between a firm and all of its employees – they help in ironing out details in the beginning so as to avoid future complications. 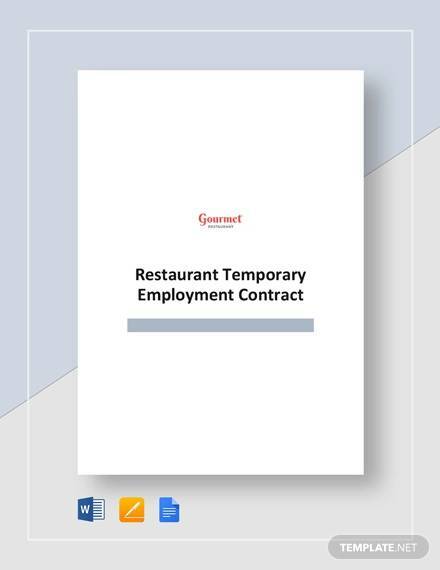 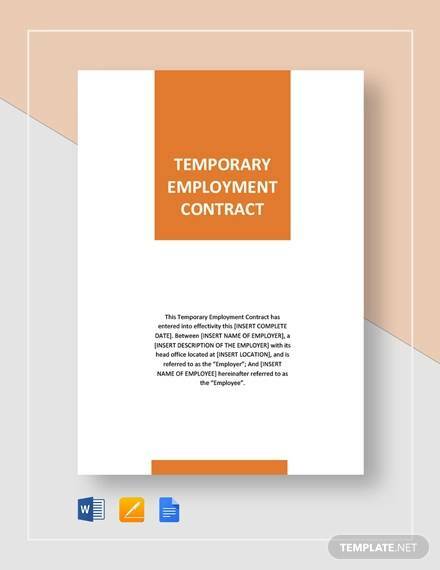 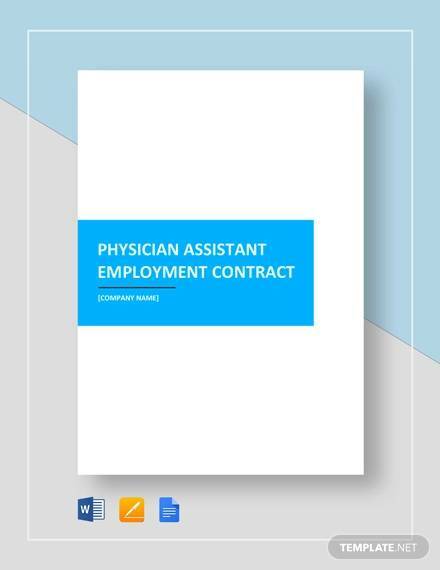 The exact terms of employment are detailed in these contracts so that both the employer and the employee know what to expect during the duration of the Sample Employment Agreement Templates. 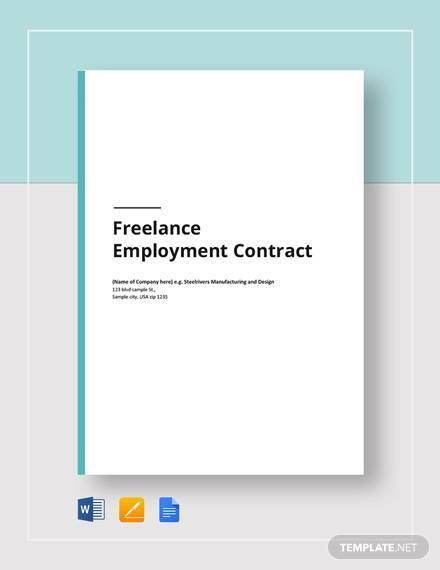 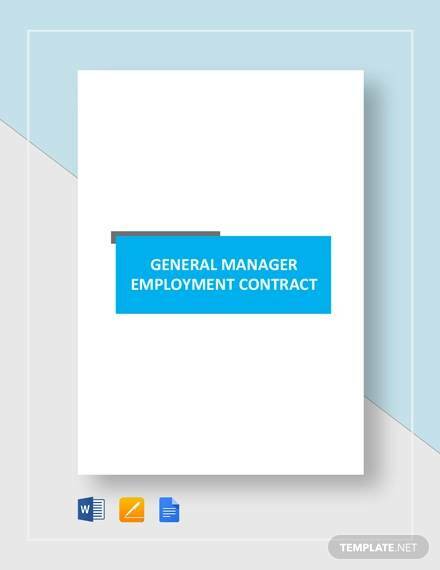 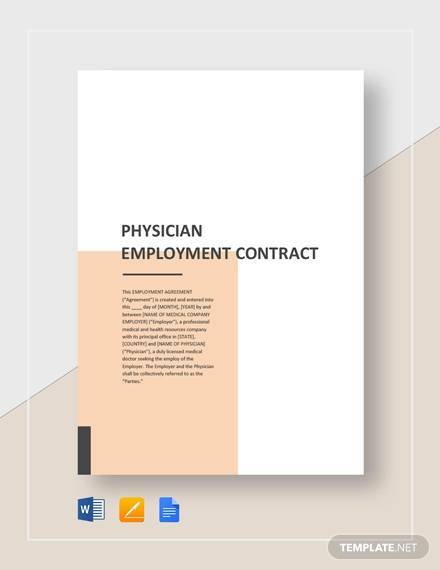 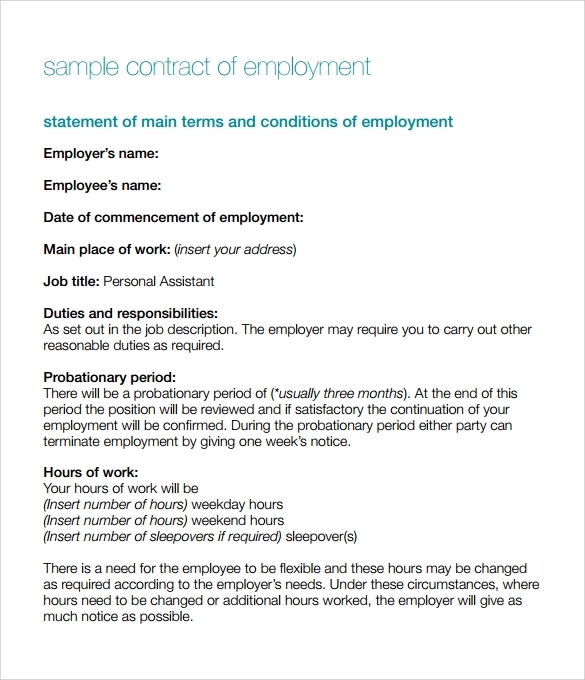 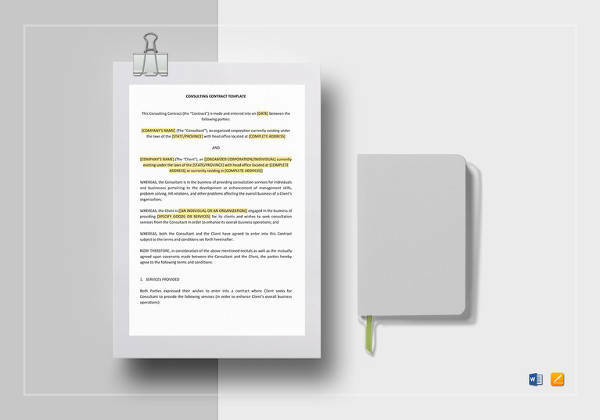 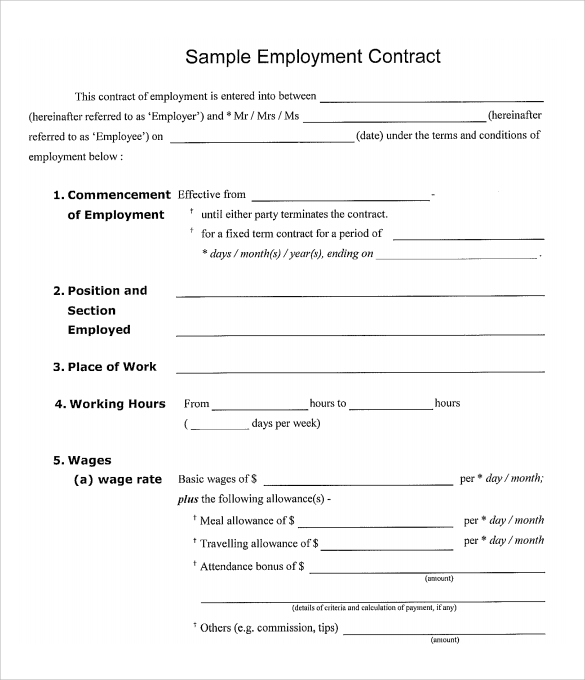 – You can use these sample employment contract templates for easy paperwork. 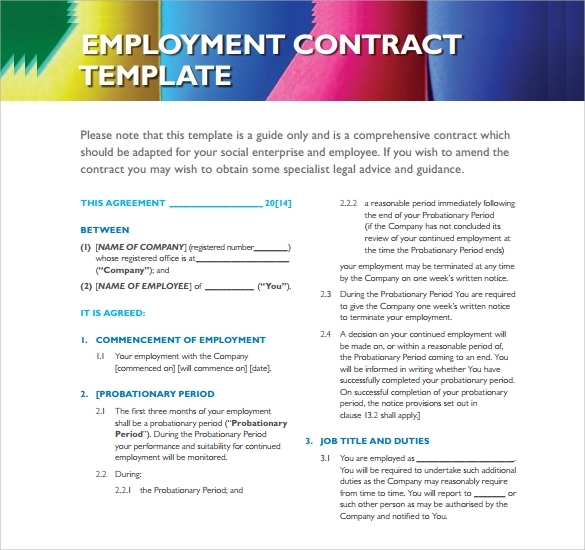 – These templates are available in both Word and Excel formats – you can choose any one according to your requirements. 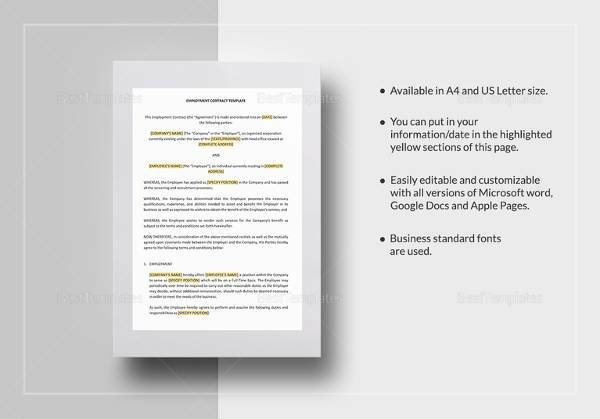 – These templates are free for download, some are however premium downloads. 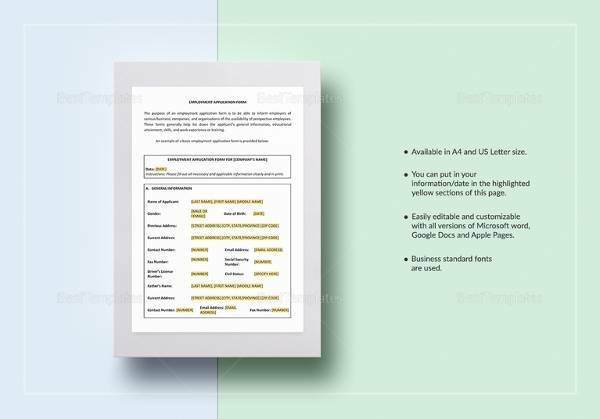 – Simply download these templates, print them out and fill in the blank spaces with necessary details. 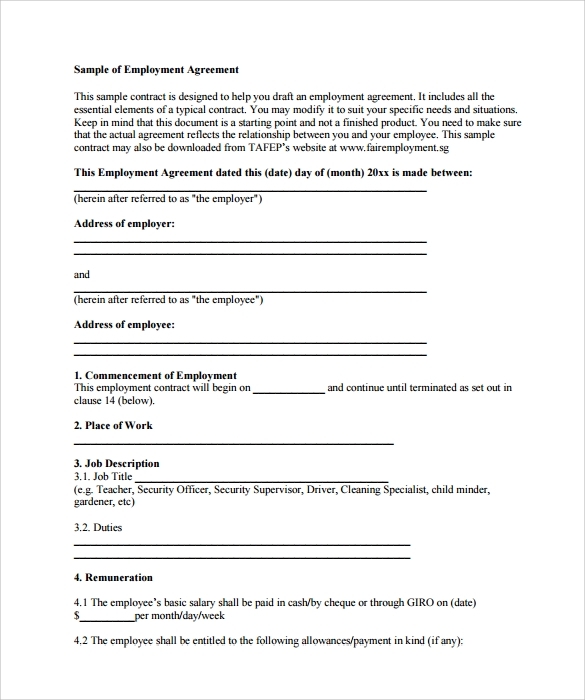 – These templates can be easily customized – clauses can be added or removed if you so wish. 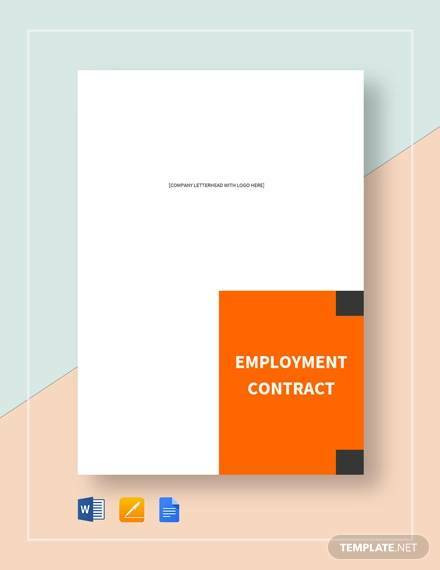 Employment contract templates are an efficient business tool that saves a lot of time in the long run. 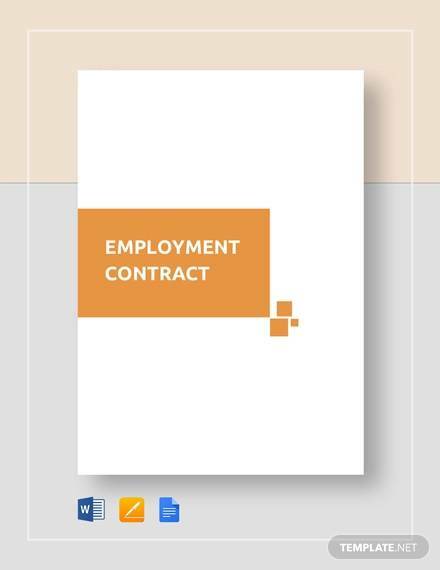 This contract also helps in maintaining a healthy relationship between the employer and the employees, thus leading to a stable working environment within a firm. 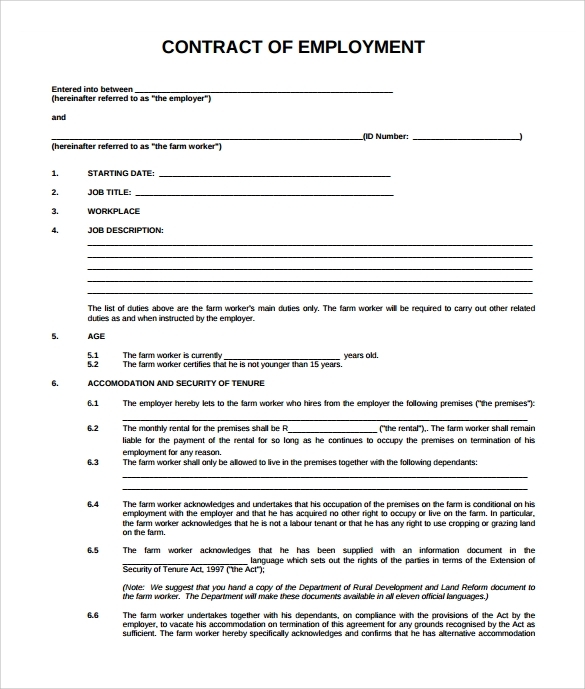 Attorneys should review the forms before finalization.